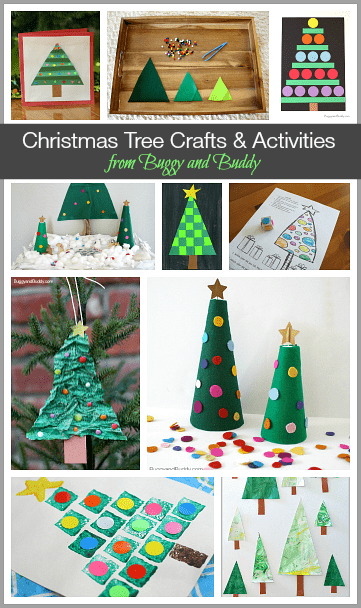 With the holidays getting close, we’ve been doing all kinds of Christmas tree crafts and activities! Here they all are in one place! 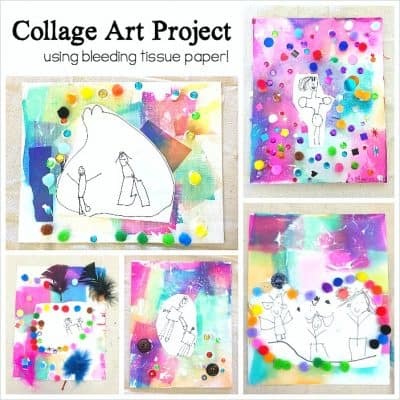 You’ll find all kinds of art projects, crafts, and hands-on play activities for kids. 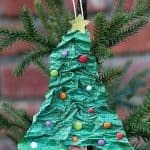 Paper Mache Christmas Tree Ornament: This unique ornament is actually quite simple to make and is also a wonderful sensory activity! 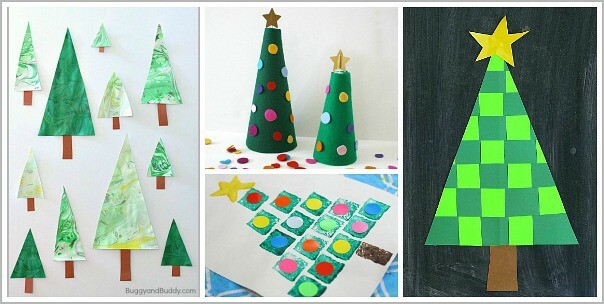 Paper Shape Christmas Tree Craft for Kids: Kids can practice shapes and spatial awareness as they build this paper shape Christmas tree. 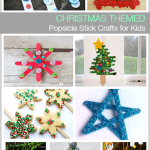 Fine Motor Christmas Tree Activity for Toddlers and Preschoolers: Younger children will love using tweezers to decorate the little felt trees with pompom ornaments. 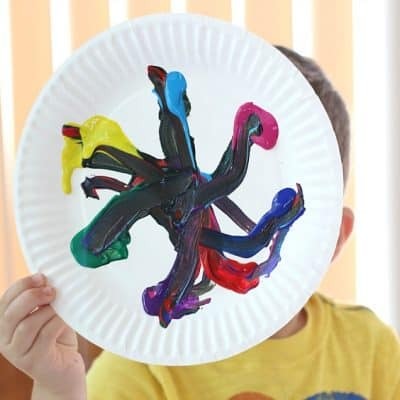 This is a great for fine motor practice and is super easy to set up! 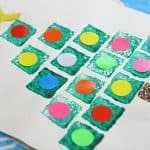 Marbled Christmas Tree Craft: Marbling paper quickly became one of our favorite art techniques after we did this activity together! Decorate the Felt Christmas Tree: These 3-D felt trees can be both a holiday decoration and a creative outlet for the kids! 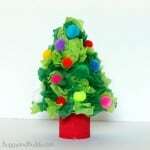 Woven Paper Christmas Tree Craft: Take paper weaving to a whole new level by creating this woven Christmas tree craft. 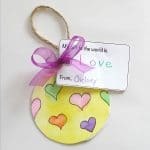 You can even add embellishments to decorate the finished project! 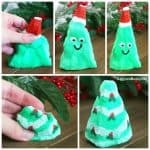 Sponge Painted Christmas Tree: My kids always love sponge painting. This tree is made by stamping various shaped sponges. So much fun! 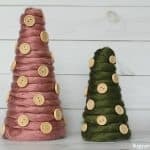 Felt Christmas Tree Pins: When you’re done with the fine motor Christmas tree activity from above, you can turn the materials into these felt pins to wear or give as gifts. Snowy Christmas Tree Small World: Inspire all kinds of pretend play with this snowy small world! 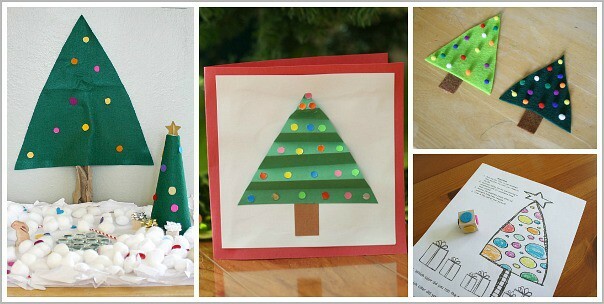 Homemade Christmas Tree Greeting Card: I love helping the children make their own cards for birthdays and holidays. 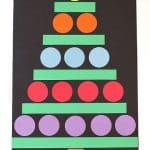 This Christmas tree greeting card is great for a wide variety of ages. 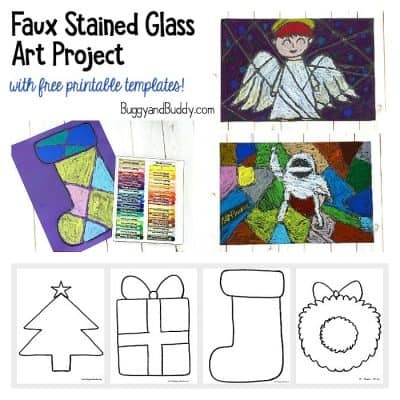 Free Printable Christmas Tree Game: Looking for a quick and easy Christmas activity? 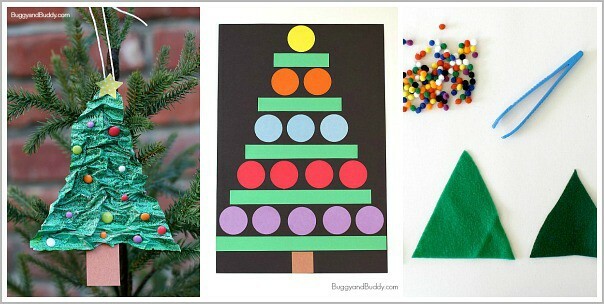 Print out this Christmas tree game! 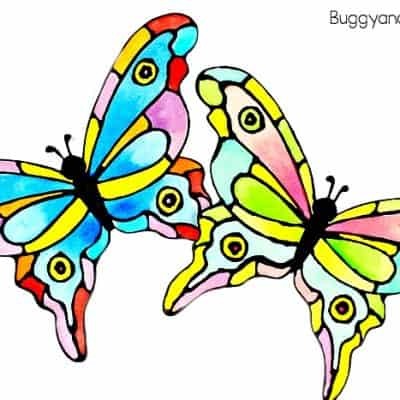 The kids can practice colors and counting. 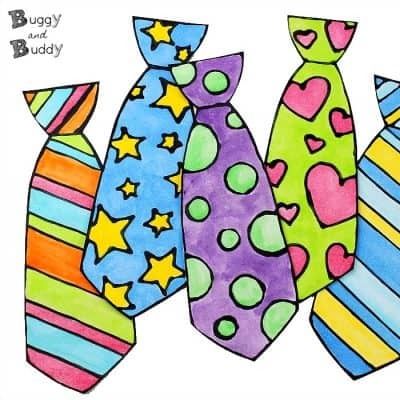 Looking for gift ideas? 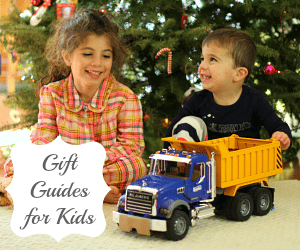 Check out all our gift guides for kids!